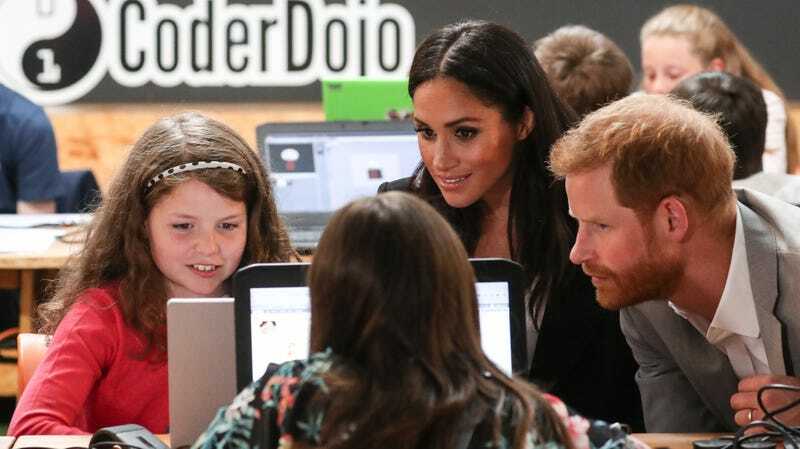 The Harry and Meghan content onslaught continues, with the announcement of “Meghan and Harry: The First 100 Days,” from the newly launched streaming service TrueRoyalty.tv. The important part of this news is that there is now a streaming service for royalty obsessives. While it sounds sort of like an off-brand commemorative mug with blurry images of the happy couple Harry and Meghan where Harry looks too much like Ed Sheeran, True Royalty TV is in large part the work of a man named Nick Bullen, another co-founder, who actually does have a very successful track record. He produced “The Queen’s 90th Birthday Celebration,” which won a BAFTA, and his group Spun Gold, which is making this new Harry and Meghan program, made “Meghan Markle: An American Princess” for Fox. Pardon me, but could you please direct me to the barricades?